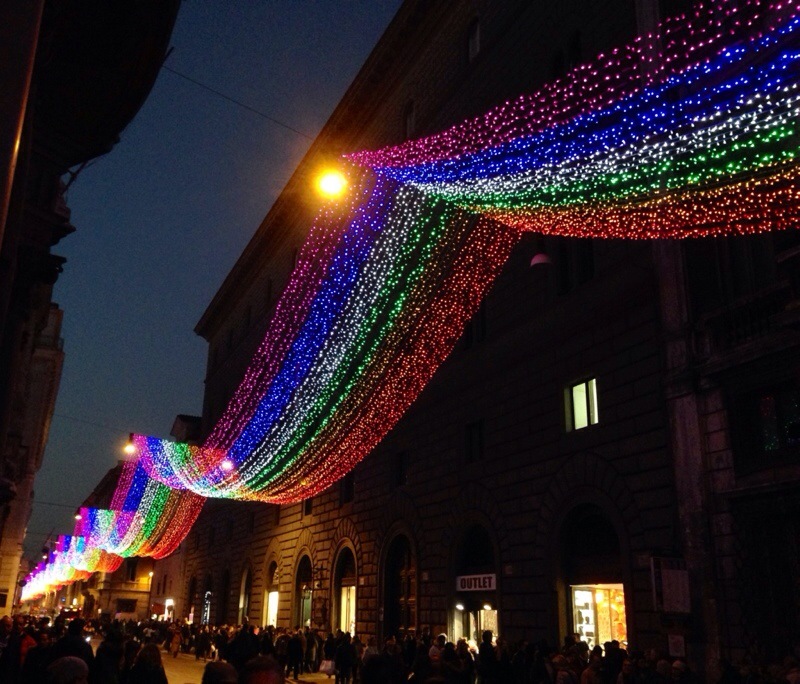 Earlier today Peter and I were walking along Via del Corso at dusk. We had stayed out just a bit too long. The street was swollen with people walking in that over-shopped, dazed way that only seems to happen around Christmas. I was feeling tired and ready to be home. As if walking down the crowded street wasn’t difficult enough, a man in uniform darted in front of us and knelt down. He blocked our path, looking skyward with a pained expression on his face. He flipped a switch and we looked up. Suddenly the string of lights that span the entire street were all lit up.